One of the best ways to ensure that your kids establish great oral hygiene habits is to start them off as early as possible with brushing and flossing. 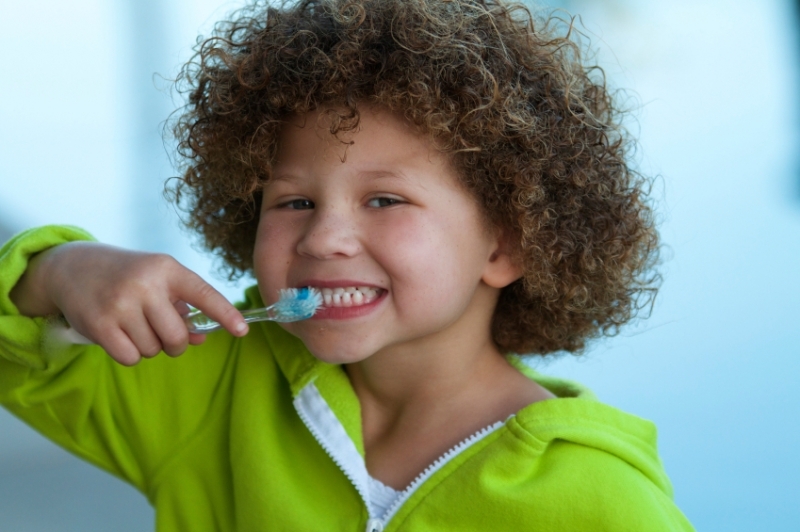 Read on for tips and ideas for starting oral hygiene habits early from our North Delta children's dentists. Once primary teeth start to come in, you can start brushing right away, two times a day- even if there aren't that many teeth to start with! At first, there's not much to brushing. Wrap a small piece of gauze or cloth around your finger with a tiny smear of toothpaste on it, and gently rub rub around the teeth (or tooth!). If your kids are under 3, use water rather than toothpaste. The moment your child has two teeth next to each other, you can start flossing between them! Use soft, flexible floss to gently remove food particles from the sides of each tooth. Once you feel your child is ready for a toothbrush, pick one with rounded, soft bristles of different lengths, and a small, angled head. At your local pharmacy, you'll be able to find toothbrushes designed for different age groups, so read the packaging carefully. When your child is prepared to take on the brushing and flossing responsibilities, you can start teaching him or her the following techniques. Then supervise until your child is able to do a good job brushing and flossing without your help. If you child is between 3 and 6, use no more than a pea-sized dab of toothpaste. You can add a little more as they grow accustomed to it. Then, supervise until he or she is able to do a good job brushing and flossing without your help.